Would you like to have a spiritual experience that is truly profound? If you want to explore a state of real everlasting pleasure, deep reservoirs of bliss, and exquisite peaks of freedom, then open yourself to seeing everything in your life as a spiritual adventure. This means that you’re always relating to every experience from the soul’s perspective. You see the cosmic play happening in front of you on the great stage of the world. All relationships are your mirrors, reflecting back you what may be seen or unseen inside. As you begin realizing that you and everyone else are infinite spiritual beings, who are eternal, infinite, timeless, who were never born and will never ever die you stop taking everything soooo darn seriously. When you deeply understand this spiritual truth in all that you do, within each moment of your interactions with others and the internal dialog within you, then your most typical day of your life becomes exotically filled with the succulent sweetness of your soul. Life instantly becomes an enlightening magical joy ride when you are using each precious moment of your day to relate to yourself (and others) as if this is a grand spiritual play. The secret to tapping into this knowing is realizing that as an infinite soul you must already be intimately connected to an infinite source of intelligence, love and freedom. We’ll call this unnamable source “The God Source” for lack of a better expression. This divine God Source is an all-loving, all-powerful, infinite source of divine intelligent joy, peace and abundance that can always be found within you. It’s good to know that all problems in your life start from feeling a lack of this connection. You cannot have a problem, worry or fear when you know this all-powerful Source is always here now, instantly and easily available to assist you at any moment you are in need. The magic comes in when you start knowing this Truth with every cell of your body. I invite you to do a fun spiritual exercise with your soul this week. Practice imagining that you are constantly having a one-on-one personal conversation with the God Source. Visualize the communication doorway is always open and the exchange of divine information is forever flowing between you and pure Universal intelligence. You don’t have to know God personally to make your grand introduction, and often its better that you have no preconceived idea what God looks, feels or sounds like. Be brave and step into the unknown! This exercise is about going through your ordinary routine that you do every week, yet acting as if the all mighty wisest master of masters is having a dialog with you. Be conscious, present and honor the communication that happens by offering your deepest concerns, questions, and problems you’re truly facing. If you’ve tried to make this connection in the past and find you always hit a block, wall or some doubt that distracts you or completely stops you from feeling connected, take a deeply look and feel into what that really is. Bring this topic to the conversation table. Often whenever we have a certain blocked energy inside us, it’s a cry for healing and fuel for a profound transformation in life. Anytime you hit a block or wall in life is good. For it simply means your mind/body is calling to become lighter and move beyond this heaviness inside. It’s often the first baby steps in this great spiritual adventure that become the most revolutionary. The smallest adjustment to ones perception of reality can create a monumental change in the entire direction your life takes you. By quieting the mind we automatically are falling deeper within ourselves and getting closer towards this divine source. You don’t have to struggle inside or push far beyond the stars to create this connection. Establishing this divine relationship means you’re willing to give up your “Lone Ranger” attitude in life, and accept the fact that you are never alone. You must admit that God has always been here, and always willing to give you instant access to profound states of love, empowerment, feelings of abundance and joy that are more amazing than you could ever imagine. Anytime you are alone is the most powerful time to practice turning your attention inside and allowing this divinely honest conversation to unfold within. This highest conscious intelligence knows you better than you know yourself so you don’t have to be embarrassed, guilty or shy about anything. It’s already seen you before you were even naked. The God Source has already been listening to your plight from the very beginning, and can only respond with the most gentle, benevolent, infinitely loving and forgiving kindness, so you have nothing to lose but your grip on the ego/mind. Whenever you feel separate, alone and isolated, it is the ego/mind that is creating this illusion and this intimate conversation is most powerful way to break free from it. Science has already proven the quantum field of energy around us is an “intelligent soup” that we cannot be separate from. Every thought and feeling passing through you is a free ticket to realizing this. The God Source knows what thoughts you need to wake up, and is constantly redirecting the experiences to you which will bring you home to your highest self. Don’t judge your experience no matter how horrifying it may seem. There are no mistakes in this all-intelligent conscious soup; it always knows what’s best for your soul’s highest evolution. Your job is simply to be receptive, and allow yourself to receive the greatest wisdom and life direction you are needing. In time you’ll find this divine conversation will offer the best guidance you could ever ask for, and you’ll soon realize that you were never ever alone. Are you ready for higher consciousness to help you learn how to live your life purpose and mission? 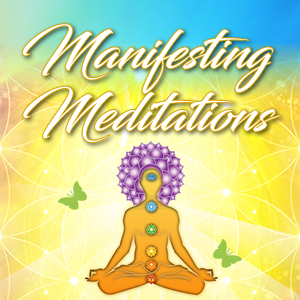 I highly recommend that you follow the 8 habits manifesting routine in our Super Manifesting Program for 90 days in a row! You’ll begin seeing how effortless, FUN and successful your life can truly be. Come enjoy the magical spiritual adventure your life is meant to experience and enjoy this awesome spiritual ride! 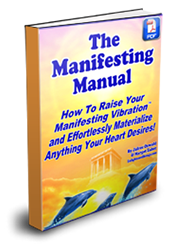 Click Here to Start your Super Manifesting Experience Instantly!! May your greatest spiritual adventure start today!